Time Inc., the publisher of the most iconic magazine covers of the 20th Century, is in the business of sending shockwaves throughout the media. From Ellen Degeneres coming out to detailed images of the 9/11 attack to the 2017 anointment of President Trump as “Person of the Year,” Time has slapped some of history’s most controversial issues on its cover. As a media company, Time Inc. remains committed to backing those covers with hard-hitting stories. In the last decade, it has also developed a substantial advertising arm. It’s content studio, The Foundry, offers brands access to the same kind of talent and tools that power the newsroom. And all of The Foundry’s efforts are supported by vast troves of consumer data that help the creative process. 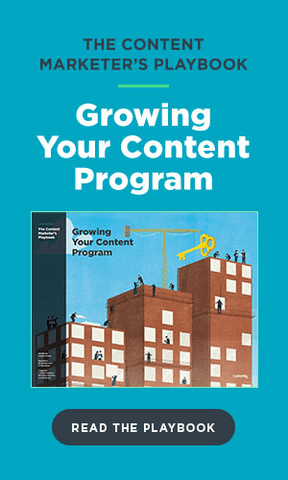 I recently spoke with Judith Hammerman, VP of global data commercialization at Time Inc., to learn more about the relationship between data and content inside the company. During our interview, Hammerman touched on the impact of targeting, why artificial intelligence could help publishers, and what advantage Time has over Facebook and Google. Why is data critical for advertisers? Data is a tool that allows advertisers to pinpoint consumers not only at an audience level, but also at a people-based level. The real question is how do we bring data to life in a way that makes it actionable? Moreover, how do we target the consumer based on everything we know about them? How would you describe terms like ‘data economy’ or ‘commercialization of data’ to people who are not familiar with ad tech? Data isn’t something we can physically see, which is why it is so hard for people to grasp its value. It’s not tangible yet its information that informs us, allows us to compete, to activate users, and measure success. Data gives us a roadmap to navigate through the content creation and consumer journey. I often think about data in the form of Muhammed Ali’s quote: “Float like a butterfly, sting like a bee. Your hands can’t hit what your eyes don’t see.” This gets at the idea that data is not just a tool, it’s a competitive advantage we bring to commercialization. What advantages do publishers have over tech companies like Facebook or Google when it comes to collecting and using data? When we look at the consumption of content from the publisher side, we can tell a lot in terms of what readers are interested in—what drives them or what they may have a social affinity towards. It’s likely their behavior follows a consumption pattern or indicates passion points—things that give us a strong sense of who they are, what they prefer, and predict how they will act. Publisher data tells us not only what consumers are interested in but also where and how we can find them in the future. We often say, content creates data. Platforms, alternatively, connect that data from disparate points. The key for platforms is to bring those signals together in a way that is simplified and meaningful for the advertiser. What ad tech brings to the table is that it unites disparate data points together in a way that can drive specific KPIs for the advertiser. If you are just an ad tech player, you don’t necessarily have all of that behavioral and affinity data you can get from content. Where does Time Inc. fit into all of this? One of the benefits we have at Time Inc. is significant scale. In December 2016, we were a top 10 comScore publisher. We reach two out of three Americans. If we remember, print is the original “addressable media” in the sense that you have a physical address. Do you think that addressable data is more reliable than digital data? Both are good, they just tell us something different. It’s not that one is better than the other, one is just more persistent. Persistency is important because what we know about digital behavior is that behind it are cookies and cookies expire. People move, but addressable data isn’t going to evaporate in 30 days. What does this mean for editorial departments? The goal is also to make all forms of data accessible to editorial folks so it’s not just the data people who are able to use it. You want editorial data to be self-serving and easy to access so that people can actually use it. The Foundry, for example, uses a natural language discovery platform that captures social signals so that the content development starts with data. Data creates a more personalized experience for the consumer, whether we are talking about products or the news. What does this tell us about content discovery? This is an interesting part of the conversation because it comes back to the question: Do we pick our content or does our content pick us? With today’s platforms we get served content that may confirm our biases and drive us deeper into our affiliation. This is where tried and true, trusted-voice journalism plays an incredibly important role in today’s society. Now more than ever, it is critical for well-established media companies to provide a neutral, unbiased perspective. Do you ever worry that hyper-targeting will have an adverse effect? There is always a balance between scale and target. That’s something we as marketers need to constantly look at. The point of targeting should be that it is convenient for the customer. As a consumer, if I am evaluating several things, having those things in front of me at the right time should be valuable for me. But we look at targeting within the context of the campaign KPI. Sometimes, our goal is not necessarily about finding a hyper-targeted audience. How important is data to the future of Time Inc. and other publishers? It’s very important. It’s the asset that hasn’t been fully unlocked yet. Unlocking it looks like what we are talking about—when insights, activation, and measurement are operating at a very high level. In the future, we’ll see a data-first approach to how we start our businesses. We think about that a lot internally. When we’re beginning to conceptualize a product, we first ask ourselves, what will be our data strategy be from the beginning?